Handmade award winning Raspberry Ripple marshmallows. These puffs of perfection are a fruitily flavoursome delight using 100% natural ingredients. 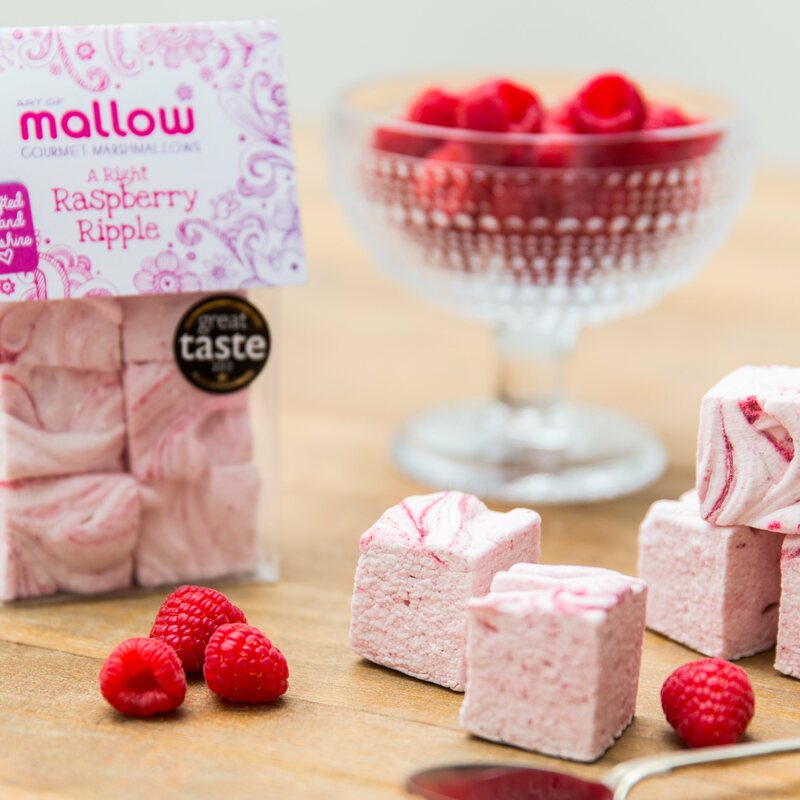 Each marshmallow is artistically rippled with real raspberries. An artisan treat for your eyes as well as your tummy! As see on BBC One James Martin's Home Comforts. Great Taste Award gold star winner 2013. 75g bag (containing six generous cubes of artisan marshmallow). This product is dispatched by Art of Mallow. This item has a shipping weight of 75g.